First caravan park on the way into town on the RHS. 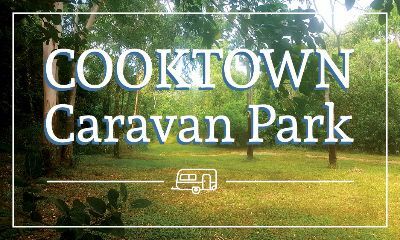 Long term North Queensland residents Leslyn and Patrick (Paddy) Auchterlonie recently purchased Cooktown Caravan Park and are keen to improve the existing infrastructure and build upon the parks excellent reputation. Many improvement have been done already. Easy to find our park is on the main road into town but nestled back into total peace and privacy. Please write your message to Cooktown Caravan Park in the message box. We will make sure that they get your message ASAP.